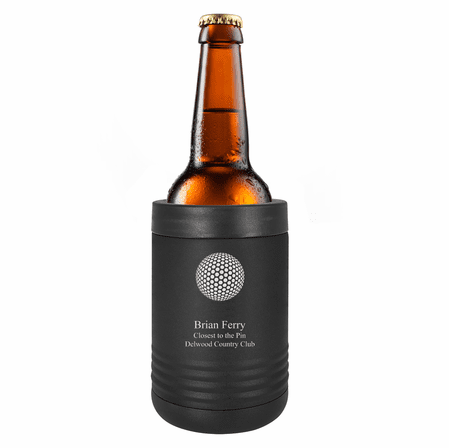 Golf enthusiasts will enjoy carrying their favorite 12 oz. 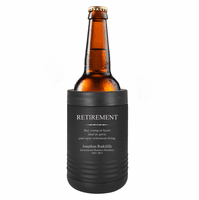 canned or bottled beverage along in this sleek black stainless steel beverage holder! It has a removable top with rubber seal to lock the container in securely, and has double-wall insulation that retains 2x the heat/cold temperature of plastic koozies. 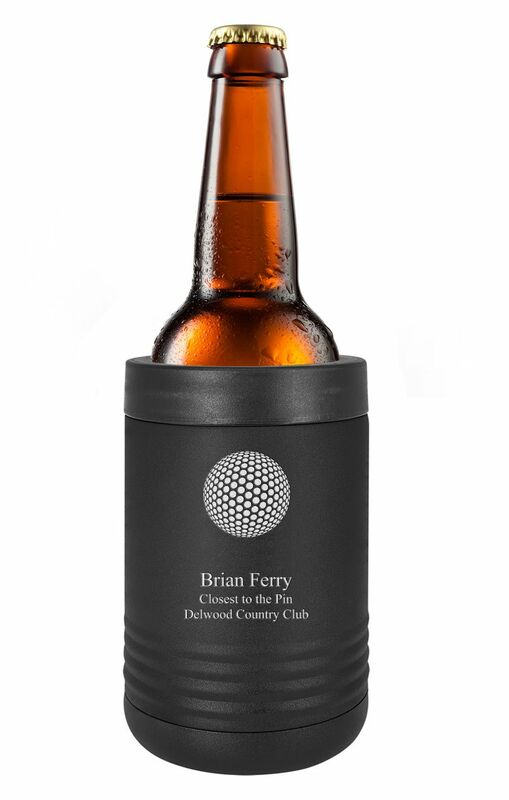 The front of the holder features our laser-engraved Golf Ball artwork, and has room for up to 6 lines of text below it, available at no extra charge. The beverage holder comes packaged in a gift box.